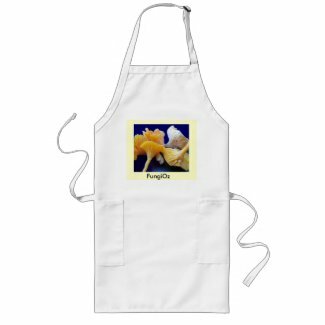 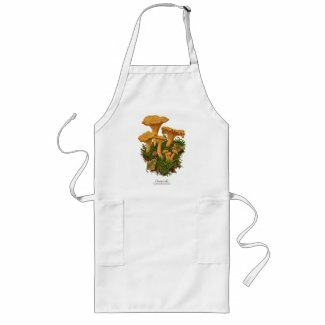 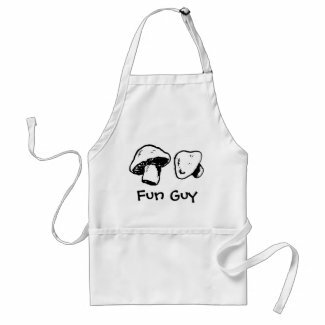 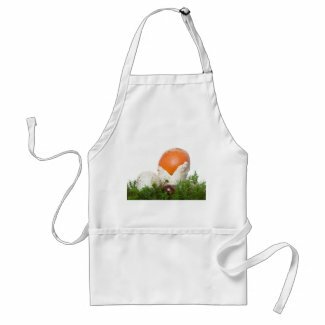 This Apron features the highly esteemed mushroom Amanita Caesarea. 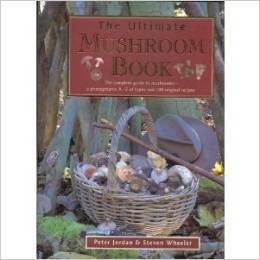 This is one of the few edible mushrooms that grow from a volval sack. 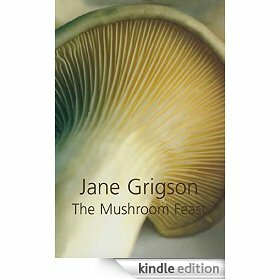 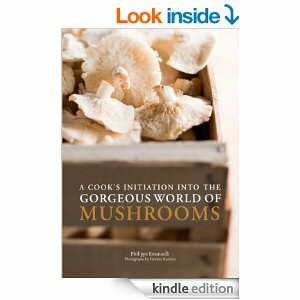 Don't confuse it with Amanita Muscaria, which is a much more common look-alike with white spots.